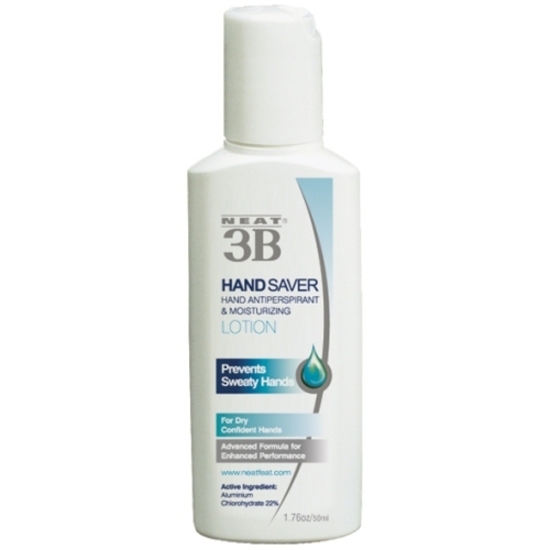 Lotion for dry, confident hands. 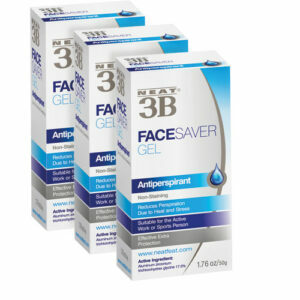 Neat® 3B Hand Saver Lotion contains an antiperspirant active ingredient in a moisturising, protective, cosmetic base. 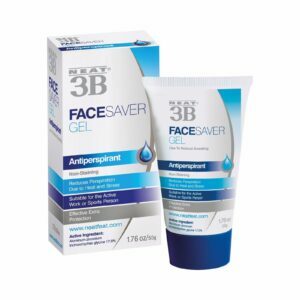 The product helps to prevent excessive hand perspiration and assures the user of dry, confident hands, the lotion also has deodorant properties. Although the volume of perspiration produced by the hands is affected by the temperature of the environment, the function of the sweat glands on our hands is, to a large extent, under nervous control. Clammy hands, which are induced by a nervous rush to the sweat glands, can be a source of embarrassment. Until now, it was not something which we could do anything about. 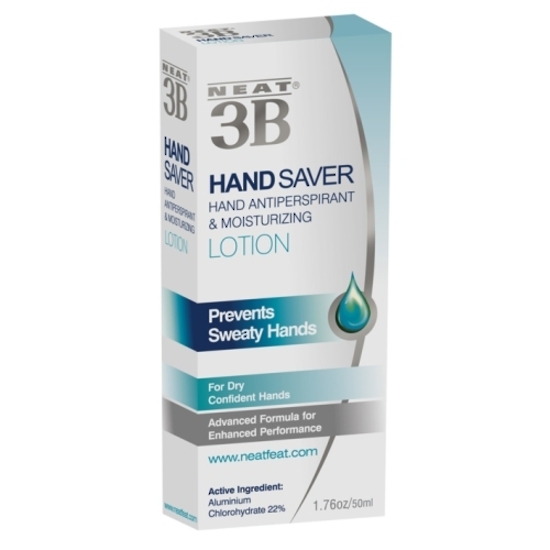 Neat® 3B Hand Saver Lotion, however, prevents the palms of our hands from becoming excessively sweaty, while the lotion itself moisturises the skin to prevent dryness and chapping. 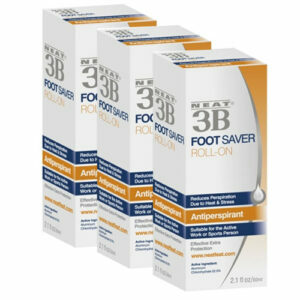 Use as part of your daily grooming routine, or just before an important meeting or sports event. This lotion is particularly helpful for sports people: tennis/squash players, golfers, bowlers, bikers etc. For sports people who wear gloves, eg. Golfers, Skiers, Bikers. 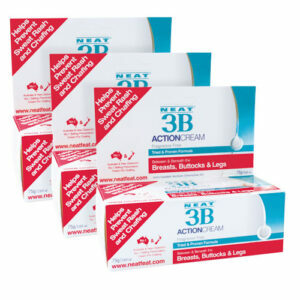 In social meet and greet situations Neat® 3B Hand Saver Lotion ensures a dry handshake, and its antiperspirant effect will last for several hours even after the hands have been washed. Best applied sparingly to the palms of washed and dried hands and rub together. Can be applied daily at anytime, and used as often as necessary. Aqua, Cyclotetrasiloxane, Cyclopentasilloxane, PEG/PPG-18/18 Dimethicone, Phenoxyethanol, Menthol, Perfume.